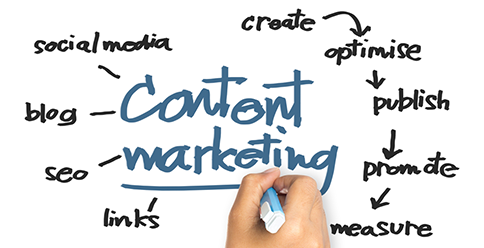 Content marketing is about creating and distributing content that is of interest to your target audience and establishes your business as a valuable resource and industry thought leader; useful content should be at the core of your marketing strategy. In the past content marketing would have taken place in magazines, newspapers and direct mail and while this is still a strong marketing strategy it can be costly and not easily accessible to SME’s. However, the rise of social media and blogging has opened up the arena for every business to reap the rewards of content marketing, with the added benefit of every action being trackable. Here are 5 of the most important reasons why your business should have a content marketing strategy. If you’re looking to drive more traffic to your website, content is a must. Having more content on your website means many more opportunities for potential customers to find you. Google has always rewarded sites that have high quality content, by since the launch of the Panda 4.0 update last year; Google has begun penalising websites with low quality content. A blog is a great way to demonstrate your knowledge and expertise in your area of business and instils confidence in existing and potential customers. A well maintained blog can drive traffic to your website and increase search engine optimisation. Content is a great way to spread the word and introduce your brand to new audiences. As well as increased search traffic, it can also help to get your customers sharing and talking about your business with their wider networks. Their network may then go on to share it, and so on. It is good practice to add social and email share buttons to your blog article pages, giving your readers the tools to share your content quickly and easily, which will increase your reach and traffic to your website. You understand your business better than anyone, so share your knowledge and show off your expertise! Before long, people will come to view you as a leader in your field and you’ll reap the benefits of all the extra credibility that comes with a strong and trustworthy reputation. You don’t want your customers to buy from you once and disappear, you want to retain them. That means building a relationship and maintaining regular contact so that the next time they’re looking for the product or service you offer, you’re already front of mind. Fresh content offers a perfect opportunity to reach out to your existing customers with something they’ll find useful or enjoy. Ultimately, the reason for any marketing activity is to generate new business and whilst content marketing isn’t suited to direct sales, it can be a fantastic source of leads. If you offer content of genuine value, consumers will often be willing to share their contact details in order to access it. Once you’ve collected these contact details then email marketing can be used to follow up with them and convert them into customers.